Our popular death metal goatman design by artist Pete Schaw is now available in hoodie form. 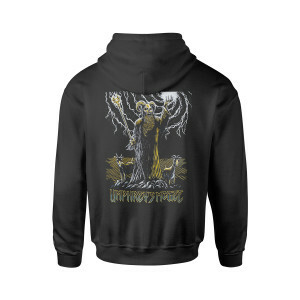 Printed on heavyweight Anvil zip up sweatshirts, this is the perfect choice for fans who dig the darker side of UM. Got this hoodie for my hubby. He adores it. 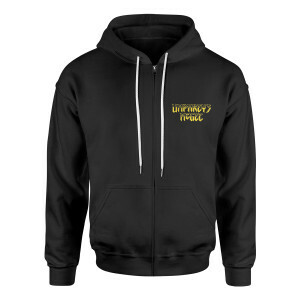 Super soft, dark black, solid hood and quite frankly the bees knees. And yes...I do steal it when he's at work! This artwork is beyond rad! The hoodie is Super soft and on the thicker side to rage, rest, and repeat in ?? super soft on the inside super metal on the outside. 10/10 will wear again and again.